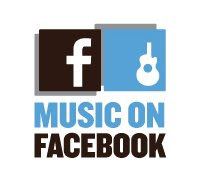 Facebook boss Mark Zuckerberg is plotting a possible push into the digital-music business in the wake of MySpace's launch of MySpace Music last month. The surging social-networking giant is talking to a number of song-streaming services and music community sites, including Rhapsody.com, iMeem.com, iLike.com, and Lala.com, about an outsourcing deal that would more deeply integrate their music experience into Facebook, sources familiar with the situation said. Zuckerberg and other Facebook executives also have been busy taking meetings with the major record companies about the strategy.